Rick And Morty fans, you’ll be getting schwifty a lot more with the show’s upcoming soundtrack. As reported by Billboard, the network responsible for Rick And Morty’s adventures, Adult Swim will be partnering with Sub Pop to release a 26-song album. The album is set to be released on Sept. 28, and a deluxe version of the album will follow on Nov. 23. Most of the songs will feature music that was created by the show’s composer Ryan Elder. Artists including Blonde Redhead, Chaos Chaos, Mazzy Star and more will also be dropping songs inspired from the duo’s adventures. The upcoming album will be available in various formats: digital, vinyl, cassettes and CDs. You can pre-order your copy of it here! 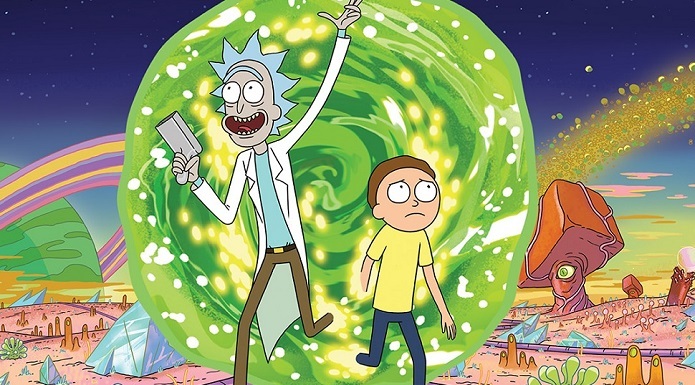 We recently found out that the show has been officially given a 70-episode deal that, per a report from the Hollywood Reporter, is more than double the amount of the show’s previous episodes—meaning we’ll be getting to see Rick and Morty’s crazy adventures for quite some time. Adult Swim’s renewal of the show has been in the making for quite some time, but it looks like they were finally able to come up with a deal that satisfied both parties. Described as a “long-term deal,” we’re sure that we’ll be getting to see episodes of the show for years to come…not that we’re complaining! There’s not a lot of details regarding the new deal, but we can only guess that the new episodes won’t air until later in 2019. Either way, we’re still beyond excited to see the show hit the small screen once more!